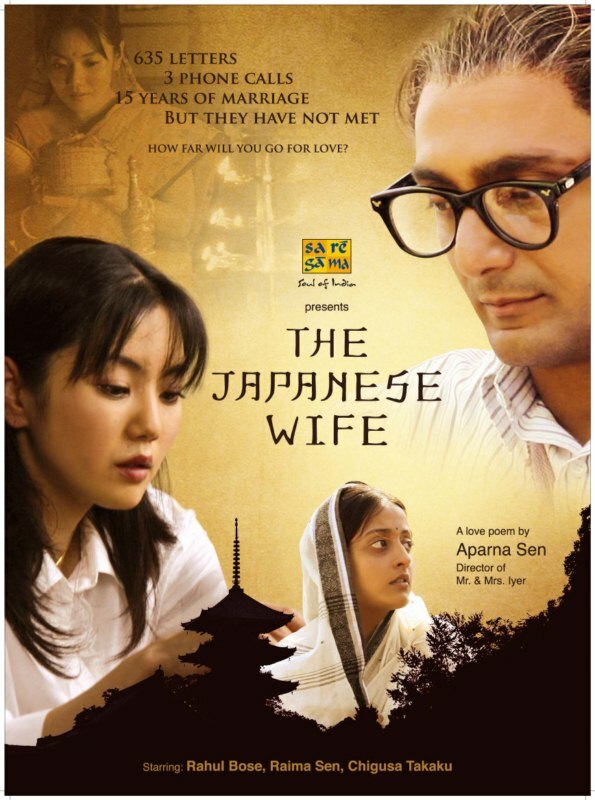 Explaining this movie, The Japanese Wife, won’t be so easy – such are all films that aim to bridge barriers, break walls and create a new realm of understanding, based on a newly discovered perception of a common ground that’s always been there, but was kept unnoticed for some unknown reason. Released in April 2010, the movie clearly attempts to link two worlds, and not just the commonly known main stream version of these worlds, but goes deeper, touches the underlining matter that makes up the society of both cultures, the Indian and the Japanese. Shows life the way it really is, not the way it is being fed off the screen – a long lasting trend in the modern mass media. Shows how love can go by without a physical element. Doesn’t deny the need of a physical contact yet achieves a neat balance and doesn’t distort the image of platonic love. It is also a story of selfless service to the loved ones and the community, a sacrifice and a lesson of priorities, telling you what really matters. Because of one man’s commitment and dedication, and his insider’s link into ‘all things Japanese’, something beautiful and memorable happened in a far away Indian village. With a hint of humor, this love story nearly lands you inside a tearful tragedy, stripping you off a so needed explanation of what happened out there. And then in the matter of seconds you fly on the wings of hope towards the light that only true love can bring you to. There is an undeniable charm in the way this story floats from one corner of the Earth to another. A word should also be said about one striking feature that some might still find subject to a profound neglect – the source of strength, coming from the feminine spirit, overtaking and inspiring. The power of women. Filled with passion, the story is narrated in a very calm and simplistic way. Yes, somewhat minimalistic too. Tells how little we need to be happy. The makers of this movie managed to create an impression of haiku , with character’s reflections captured almost in slow motion, so that the viewer can pause and gaze and allow the touchdown to happen within one’s heart. But, like is the case with all haiku, worded, painted or now filmed, it often goes unappreciated and misunderstood, and always takes time to sink in. Not every one might find it immediately thrilling and amazing. Yet, in the end, it is. And so is the final verdict – definitely worth it.